John Connaughton and his team are honest, skilled professionals who deliver projects on time, on budget and with enviable quality. 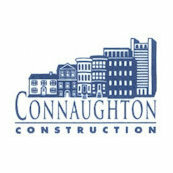 As an architect, I have worked with Connaughton Construction on many projects and every one has been a pleasure. John himself is present throughout the process and his project management team are impressively knowledgeable. Three specific strong points include communication, cost estimating and project foresight. If a problem arises, they communicate it directly to the client and design team immediately. John is the best cost estimator I have ever worked with: I have actually seen him lose out on projects because his estimate came in higher than a competitor, only for the owner to later find that John's number was the accurate one and the project overran the budget. It would have been smarter to reward that honesty and hire him in the first place. And on several occasions, John has saved my hide by looking ahead and foreseeing a potential conflict, giving me time to rectify the problem before it affected the project timeline. I would gladly recommend Connaughton Construction and I look forward to my next opportunity to work with John and his talented team.